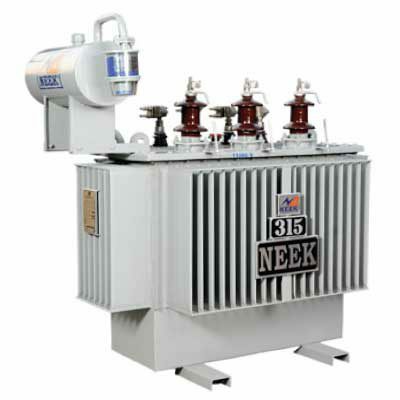 NEEK has been manufacturing Amorphous metal core type distribution transformers, side by side with the conventional Silicon Steel Core type Distribution Transformer. 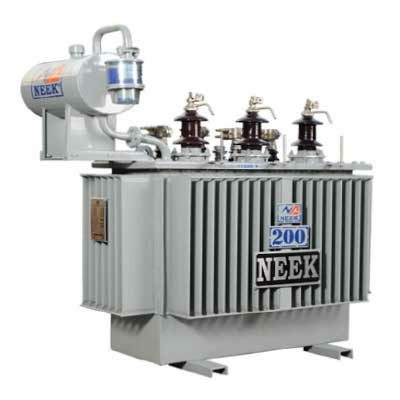 It is estimated that 10% of all electricity generated is lost because of distribution inefficiency, inherent in the operation of distribution transformers which are of two types of energy loss: load loss that vary depending on transformers loading and no loss that occur in the magnetic cores and take place over the life of the transformer regardless of the load. Amorphous Metal exhibits a structure in which the metallic molecules occur in a random pattern and having non-crystalline alloy steel just like glass. As there are no grains, the flux experiences least resistance in any direction. As opposed to the rigid grains structure of silicon steel, this unique structure enables easy magnetization and demagnetization. The materials unique structure result from rapid solidification manufacturing process,which requires cooling the molten alloy at the rate of one million degrees Celsius per second. TRANSFORMER PURCHASE ON A TOTAL OWING BASIS One method of illustrating how AMDTs provide economic savings is by evaluating on a Total Owning Cost (TOC) basis. 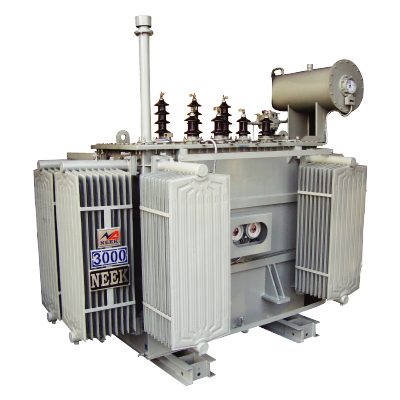 TOC encompasses both the initial cost of the transformer, plus the future cost of the energy losses over the life of the equipment. The essence of transformer loss evaluation is to recognize that there is a cost of losses associated with the distribution transformer purchase decision that is just as important as the initial price. 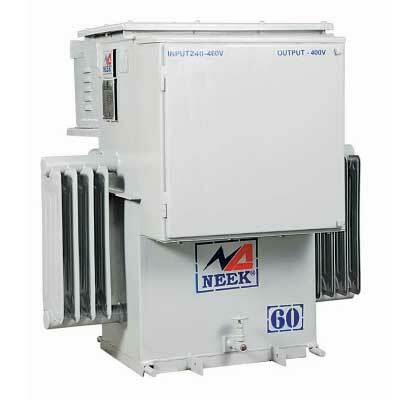 A user who saves on the initial purchase price of the transformer may in fact be losing money by not properly considering the value of the energy losses over the transformer’s active life. 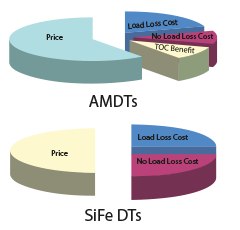 TOC = Initial Purchase Price + Cost of Future Energy Losses The chart illustrates that despite a higher initial cost, the use of AMDTs results in overall financial savings for the utilities over the life of the transformer; compared with the use of conventional silicon steel core transformers. One method of illustrating how AMDTs provide economic savings is by evaluating on a Total Owning Cost (TOC) basis. 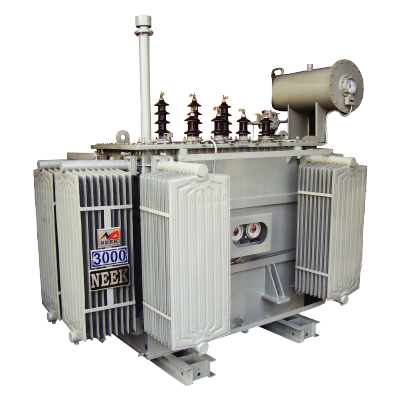 TOC encompasses both the initial cost of the transformer, plus the future cost of the energy losses over the life of the equipment. The essence of transformer loss evaluation is to recognize that there is a cost of losses associated with the distribution transformer purchase decision that is just as important as the initial price. 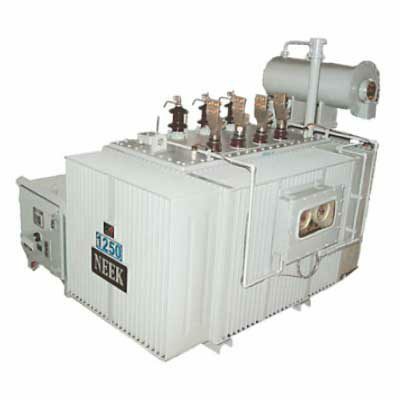 A user who saves on the initial purchase price of the transformer may in fact be losing money by not properly considering the value of the energy losses over the transformer’s active life. The chart illustrates that despite a higher initial cost, the use of AMDTs results in overall financial savings for the utilities over the life of the transformer; compared with the use of conventional silicon steel core transformers.